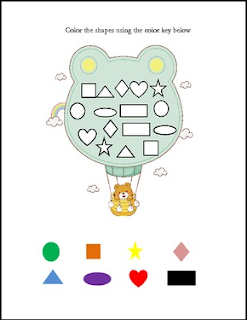 Use these worksheets to help your students recognize shapes and patterns. On the first page, they must color the shapes using the color key. Page 2 helps them to recognize and complete patterns. And page 3 they can make patterns of their own. These worksheets address Common Core K.G.A.2 for Kindergarten.